UBC prof Judy McLean wages war on nutritional deficiencies in Rwanda – with the help of a Canadian invention called Sprinkles. The class in International Nutrition won’t begin for several minutes, but assistant professor Judy McLean has already set the tone. The room in the Woodward building reverberates with upbeat music, and a video shows villagers dancing on the red, hard‑packed soil of rural Rwanda. You’d think they hadn’t a care in the world. It’s hard to reconcile this picture with the horrific images from the genocide just 20 years ago, when 800,000 Rwandans were slaughtered. Even as recently as 2006, when McLean first went to Rwanda, she felt it was “the saddest place on earth,” and to this day millions of survivors bear physical and psychological scars. Yet, in a remarkable paradox, the determination to recover from the deep tragedy of the genocide has pulled Rwandans together so powerfully that Rwanda is now one of the safest countries on the continent – Transparency International’s 2013 Corruption Perception Index ranks it as the second least corrupt country in Africa after Botswana. And, under the leadership of President Paul Kagame, many innovations have been introduced, such as effective reconciliation programs, empowerment of women, and bold public health initiatives. “Everyone should leave UBC knowing a little bit more about what the rest of the world experiences,” says McLean. It’s the reason she has let the class get so big. She wants students to know, for example, that malnutrition isn’t caused by a global shortage of food, but rather is intertwined with politics, gender disparity, and other factors. To date, McLean has taught International Nutrition (FNH 355) to more than 12,000 UBC students. 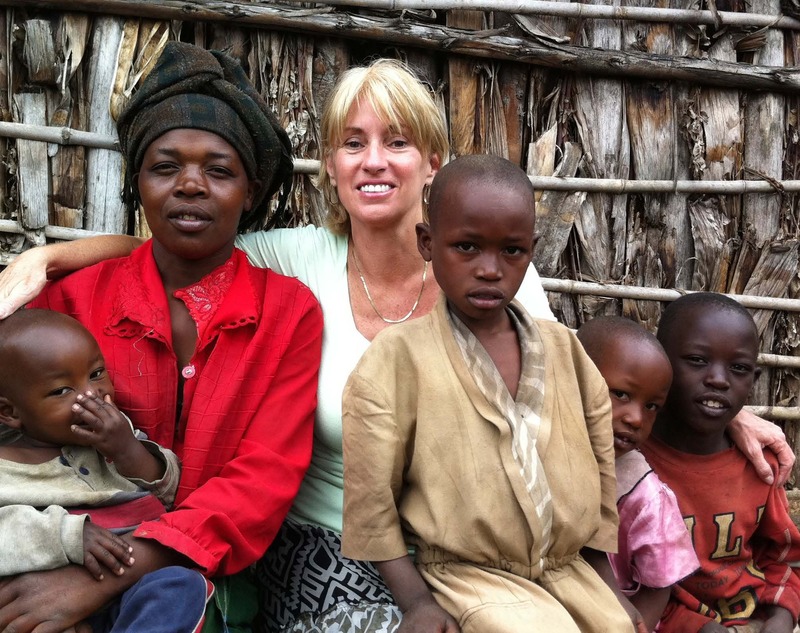 Judy McLean has been going to Rwanda since 2006. Rwanda was a French‑speaking country, and McLean doesn’t speak French, so she recruited a French‑speaking “front‑row student” from her FNH 355 class to team‑teach with her and serve as a support person. Thus began McLean’s exceptionally successful practice of creating placements abroad for keen FNH 355 students. Many have worked on field studies in Rwanda, alongside Rwandan students from INATEK. The murderers started using pepper spray to make survivors cough and splutter, so that they could find them and kill them. But before the killers got to where the boy was, soldiers arrived and the genocidaires took off. McLean will never forget standing there, in that church, holding her friend’s hand, listening to his story. He was one of only seven who survived. These days, McLean makes a point of seeking out good news to share with the class. 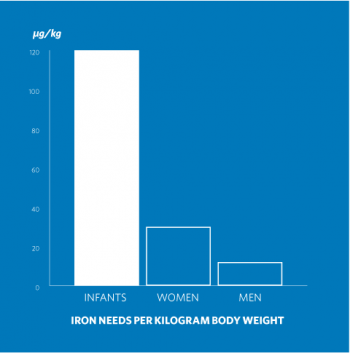 And she doesn’t have far to look: With the help of INATEK and UBC student teams and in partnership with the Rwandan government and UNICEF Rwanda, she is presently rolling out a massive program to combat iron deficiency in Rwandan babies. Almost half of all children under five – that’s 300 million children worldwide – have anemia; half a million die each year from Vitamin A deficiency; another 400,000 die from inadequate zinc stores. A slight figure with very blonde hair, a ready smile and a magnetic personality, McLean is known for her tireless work ethic and remarkably positive attitude. Students who work closely with her say she works “three times as hard as any of us” and often puts in 18‑hour days. She admits it’s been years since she’s had a real summer vacation, but there was a time when she and her family liked to holiday by the beach in Barbados. On one such holiday in the mid‑1990s, the McLeans met the Zlotkins. Both families were sitting poolside and they struck up a conversation. Stan Zlotkin, it turned out, is a Toronto pediatrician and research scientist who, like McLean, has a PhD in nutrition. The friendship that ensued was to have an enormous impact on McLean’s life and, through her, on the lives of hundreds of thousands – or, more likely, millions – of others. The Sprinkles packaging for Rwanda was designed by Kara Pecknold. 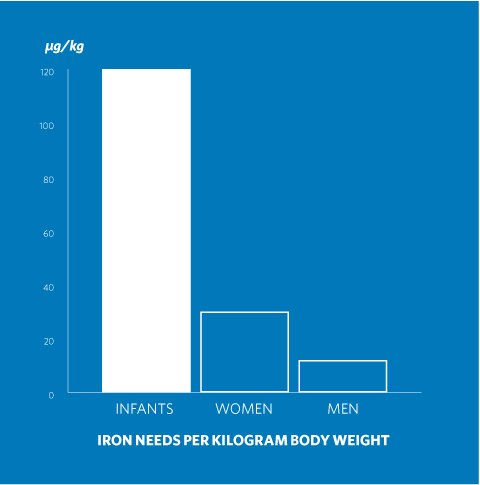 Because they grow so fast, young children have very high iron needs relative to their body weight – as much as eight times what an adult male typically needs. 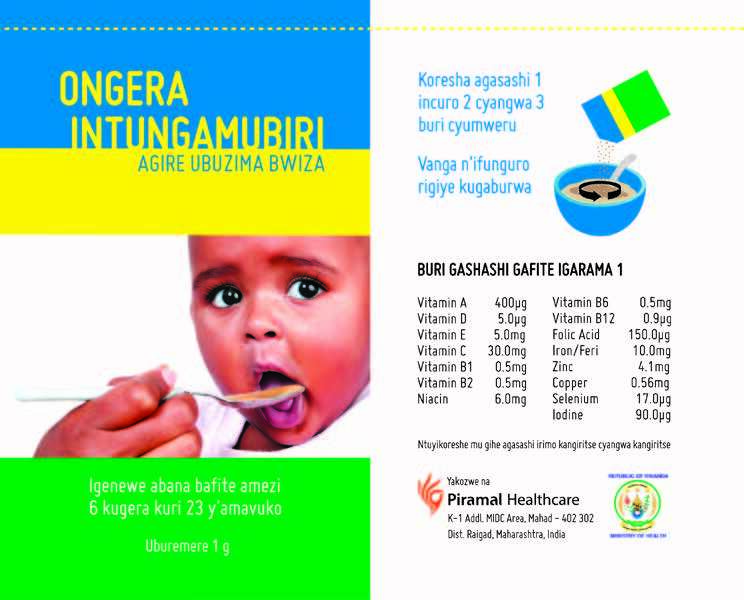 In rural Rwanda, 77 percent of infants aged 6 to 9 months are anemic, their bodies unable to produce enough hemoglobin to supply adequate oxygen to major organs, such as the heart and brain. This can cause impaired physical and cognitive development, and even death. Walking along the beach in Barbados, Zlotkin told McLean about the research he was working on to combat vitamin and mineral deficiencies, especially iron, in developing countries. All told, more than 2 billion people in the world are affected by micronutrient deficiencies, and most of them live in developing countries. Almost half of all children under five – that’s 300 million children worldwide – have anemia; half a million die each year from Vitamin A deficiency; another 400,000 die from inadequate zinc stores. It used to be that deficiencies in iron, iodine, Vitamin A and Vitamin D were also common in North America but, in the 1930s, scientists began finding ways to fortify foods with vitamins and minerals. Store‑bought milk, for example, is fortified with Vitamin D to prevent rickets and Vitamin A to prevent blindness, while table salt has iodine to prevent goiter and cretinism, to name just a couple of ways North Americans consume adequate amounts of these essential “micro” nutrients. 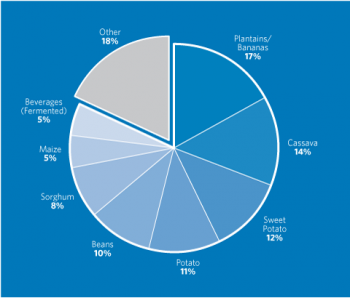 The problem is, people in developing countries, especially in rural areas, consume little if any store‑bought food. Often, they rely on a single, home‑grown staple for almost all their calories and nutrients. So Dr. Zlotkin came up with the idea of “home fortification” using a powdered formula of 15 important micronutrients including iron, iodine, Vitamin A, Vitamin D and Vitamin C.
It was several years before the product, which he called Sprinkles, was ready for market. Packaged in single‑dose sachets that resemble little packets of sugar, Sprinkles is an amazing source of essential micronutrients that families can use to fortify their own foods. “The iron is covered with a thin coating of soy lipid to mask its strong metallic taste,” McLean says, so mixing Sprinkles into a child or infant’s regular food doesn’t change the taste of the food. It also encourages mothers to feed their babies suitable foods at the right age in life, because Sprinkles should be combined with semi‑solid foods that are not too hot. Getting Sprinkles from the lab to the homes of the people who need it, however, is an extremely challenging process that is still in very early stages. As Zlotkin says, they have “barely scratched the surface” when it comes to making Sprinkles available where it is most needed. When McLean saw the limited diet in Rwanda, the nutritional issues, and the poverty, she wanted to find a way to respond, beyond simply teaching her Community Nutrition class at INATEK. And right away she thought of Zlotkin, and knew that Sprinkles was the answer. “It was crystal clear to me,” she says. On a return visit to Rwanda, McLean met Kara Pecknold, a designer who was friends with Magnifique Nzaramba, a brother of Rwanda’s Minister of Health, Dr. Richard Sezibera. Nzaramba facilitated a meeting with Sezibera, and the minister supported McLean’s idea to introduce Sprinkles in Rwanda. After that, McLean still had to knock on a lot of doors for financial backing. Ultimately UNICEF became the main partner, with about a million dollars coming from other organizations. Zlotkin had generously relinquished the patent for Sprinkles outside of North America, so they were able to have the product manufactured in India for just 2.5 cents a packet. In order to succeed with such an intervention, it’s essential to understand the local culture, so the INATEK and FNH 355 students conducted focus groups and interviews in the villages. Pecknold designed mock‑ups for country‑specific Sprinkles packaging, and the mothers chose their favourite. They even coined a name for the product in Kinyarwanda, the local language. To test out the acceptability and usability of the micronutrient powders at the household level, the students taught community health workers how to use the powders, and the health workers trained about 60 caregivers and sent them home with a 30‑day supply to try out. 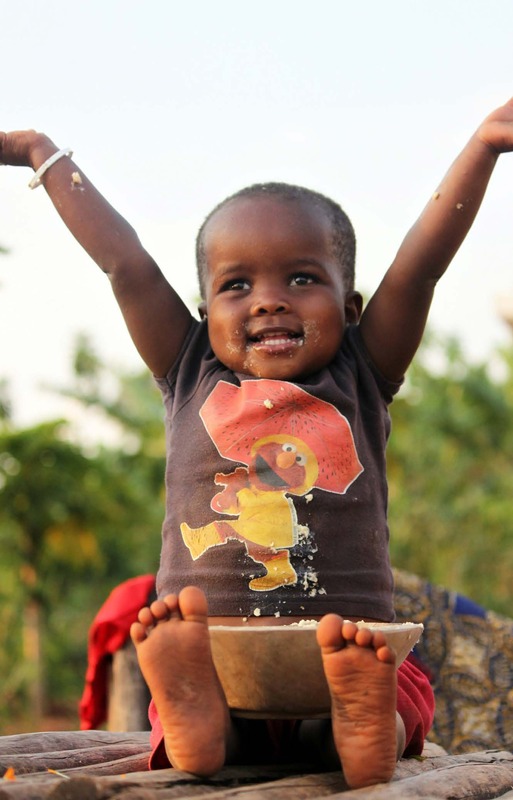 For the next step, they launched a one‑year effectiveness program reaching tens of thousands of Rwandan children. Kristina Michaux and Allison Daniel, former FNH 355 students who worked together on the project in 2012, say they experienced an exceptional compliance rate of nearly 100 per cent in Rwanda. In fact, the pilot project went so well that McLean was asked to do a major scale‑up, beginning in May, to target 350,000 Rwandan babies from six to 23 months of age. Daniel is thrilled at this success, and she’s especially excited about the “huge future” the program has in other countries. 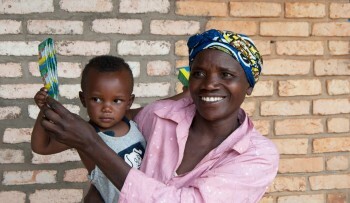 Seeing the impact of the Rwandan interventions, several other African nations approached McLean to establish micronutrient delivery programs in their own countries. 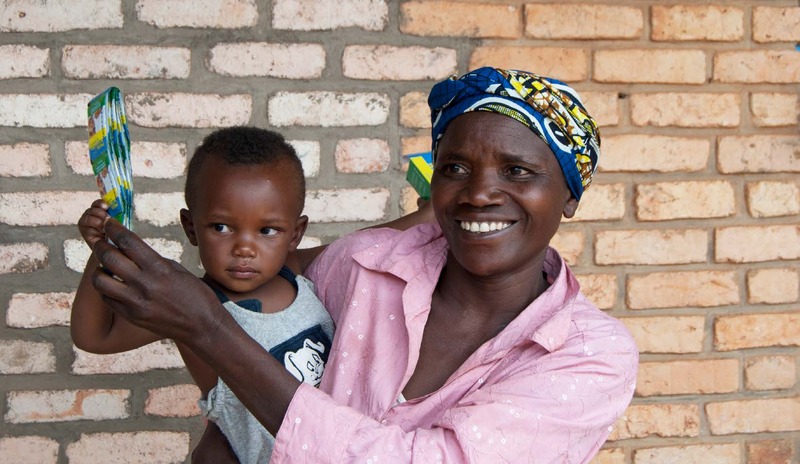 Seeing the impact of the Rwandan interventions, several other African nations approached McLean to establish micronutrient delivery programs in their own countries. As a result, McLean and a number of her UBC students, together with in‑country partners, have begun work on micronutrient projects in Zambia, Sierra Leone, Cameroon, Mozambique, Mali and Uganda. Sometimes a country wants to forge ahead with an intervention, and skip the preliminary steps. “We know we need it and we know it works,” they say. But McLean is adamant that they follow all the preparatory and training steps. Micronutrient powder interventions have not always been successful, she points out. Compliance can be a huge challenge. In an emergency situation in a Somali refugee camp, for example, packets of Sprinkles were given out without any sort of community training or pilot testing. Seeing the shiny foil that lined the packages, many mothers thought the packets were some sort of condom, and threw them away. Others took one look at the picture on the packets, in this case a couple and one child, and thought they were for birth control. ”Nobody used them. It was a complete waste of money,” McLean says. Zach Daly, a UBC graduate student in Nutrition, has his own story to underscore the value of following the steps. Daly conducted field research for the program last year in Zambia, the second African country to launch a home fortification program with McLean’s help. Daly loves his morning coffee, and takes it black. His 1-litre clear plastic Nalgene container seemed ideal for carting coffee around from site to site, till one morning a Zambian partner on his team told him there was a problem. “In Zambia, there are a lot of beliefs around blood and Satanism,” Daly says. Some of the villagers thought that his Nalgene container, with its black lid and white numbered markings down the side, was some sort of medical equipment, perhaps an IV bottle, and they wanted to know if the reddish black liquid in it was human blood. “Was Daly a Satanist?” they wondered, when they saw him drinking it. After that, Daly became extremely vigilant about keeping the flask in the car and out of sight, though he wasn’t quite ready to give up his daily coffee. The pilot project to improve child nutrition enjoyed an exceptional compliance rate of nearly 100 per cent. This sort of unexpected obstacle can derail an entire intervention program if not caught early. It underscores the need for a country to follow the process McLean has established, if they are to build a program that will be sustainable over the long haul. 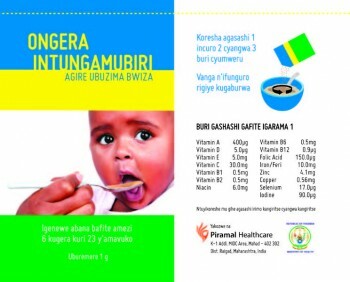 It’s particularly poignant that Rwanda, which suffered such devastation 20 years ago, is the first country in Africa to roll out a full‑scale micronutrient delivery program for infants in rural villages. “It’s a remarkable place,” McLean says, “and to see the connectedness people have is very special. I’ve been able to watch such a dramatic change happen.” She is hopeful that the home‑fortification program can help keep that change going. After all the years of preparation, it was profoundly moving for McLean to see her idea become a reality, when the mothers fortified their food with micronutrients for the first time and gave it to their children. 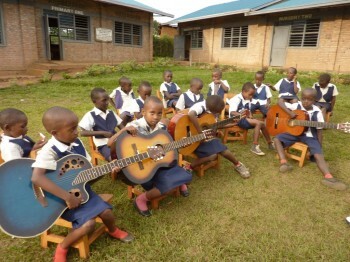 When 21-year-old International Nutrition student Allison Daniel was on a UBC Nutrition placement in Rwanda, she noticed there were no music programs in the schools. In response, she founded a nonprofit organization in Canada and, through it, raised enough money to buy drums, guitars and a keyboard, and to hire two teachers to create a music program in DIZA Primary, a school for vulnerable children in Rwanda. A former diplomat reflects on her profession’s place in today’s world. Surely issues of poverty and malnutrition still require a lot of effort and funding. But it is so great and promising to know that progress is being made, and that help is reaching those who desperately need it. Remarkable achievement. Congratulations to all involved.